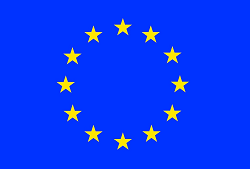 Recently, the European government published a so-called “Q and A” allegedly to address criticisms of the draft. Among the various claims, the EU parliament says that the directive does not introduce any new rights for creators or journalists. It also says that Article 13 doesn’t have anything to do with filtering. Further, it suggests that Article 11 does not have anything to do with licensing or taxes for linking. Is Article 11 going to create a tax – to be more precise a tax payable when a news article is shared? No. The EP wants to ensure that some money goes from multi-billion dollar news aggregators to the journalist who has done all the hard work writing up an article. These articles, it should be stressed, often dig up the truth and contribute enormously to upholding a democratic system. This cannot be considered a tax. So, in short, the Q and A admits that it is a tax, but it says it cannot be considered a tax. Instead, it compels services to pay money for the privilege of linking material as a mandate by the government. Yet, it’s not allowed to be called a tax even though, what else would you call it? Is the directive creating automatic filters? So, they claim that there are no filters anywhere in the directive, but there needs to be a way to automatically ensure that certain things cannot be posted on online platforms. It’s kind of like saying that we’re not telling you to drink water, but there is water in a glass and you have to tip the water into your mouth and ingest it. Ergo drinking. Ergo automatic filters. Given that the European parliament has taken a lot of heat over the copyright directive, there definitely appears to be an effort to try and muddy the waters. It’s definitely written in such a way that if you skim it, you only catch the denials, but if you don’t skim it, you get to see the contradictory terminology. Also, you can definitely see that the questions are very carefully crafted so that it can easily mislead the readers. For instance, the question “Is the directive creating automatic filters?” One can easily misread that as “Is the directive about automatic filters?” which is actually an entirely different question. A law doesn’t “create” anything except the rules. It can, however, compel others to create something. Really, this is one of those cases where the more you dig into the details, the more contradictory and misleading the statements become. You can almost see the forked tongue periodically flicking behind the text after a while. The EU’s diagnosis is incomplete, and so its remedy is wrong. Article 13 of the new Copyright Directive requires filters for big online platforms that watch everything that Europeans post to the Internet and block anything that anyone, anywhere has claimed as a copyrighted work. Recent versions of Article 13 have gone to great lengths to obscure the fact that it requires filters, but any rule that requires platforms to know what hundreds of millions of people are posting, all the time, and not allow anything that seems like a copyright infringement is obviously about filters. These filters don’t come cheap. Google’s comparatively modest version of an Article 13 filter, the YouTube ContentID system, cost $60 million to develop and tens of millions more to maintain, and it can only compare videos to a small database of copyright claims from a trusted group of rightsholders. It would cost hundreds of millions of Euros to develop a filter that could manage every tweet, Facebook update, YouTube comment, blog post, and other form of expressive speech online to ensure that it’s not a match for a crowdsourced database that any of the Internet’s two billion users can add anything to. Google has hundreds of millions of Euros, and so do Facebook and the other US Big Tech companies. Notably, Europe’s struggling online sector — who represent a competitive alternative to US Big Tech — do not. While America’s tech giants would prefer no regulation, they’ll happily settle for regulation that’s so expensive it clears the field of all possible competitors. For creators, this is a terrible state of affairs. The consolidation of the online dominance of the Big Tech players won’t increase the competitive market for their works — nor will any of the billions squandered on black-box censorship algorithms enrich creators. Instead all that money will go to the tech companies that build and operate the filters. As we pointed out yesterday, there are numerous ways European’s can get involved in the debates. They can contact their Member of European Parliament. They can sign the ever growing Change.org petition. Additionally, they can tell others about it to help spread the word and get involved as well. One thing is for sure, things are once again heating up on the Europe’s debate over Article 11 and Article 13.